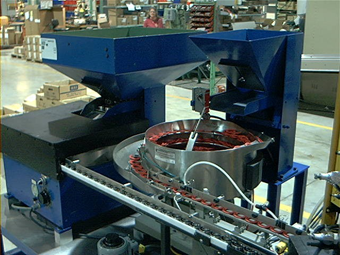 The machine inserts radial ball bearings and dust seals into vee-belt pulleys. 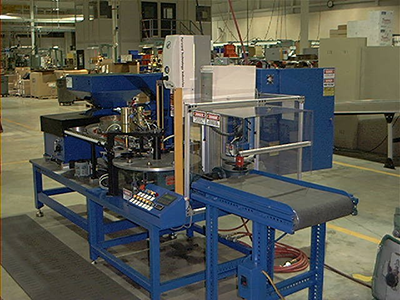 With each cycle, an operator manually loads a molded plastic pulley to the indexing dial-plate, and the pulley runs through three presses (two pneumatic and one ultrasonic) to complete the assembly. 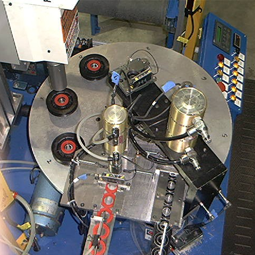 The bearings and seals are bulk-fed through vibratory bowls and inline tracks, and the finished pulleys are transferred from the index dial to an exit conveyor by a cam-driven electromagnetic pick-and-place. Descher engineers worked with the customer’s staff to coordinate on-and-offsite build schedules to upgrade all control hardware and replace existing tooling with modular nest fixturing. 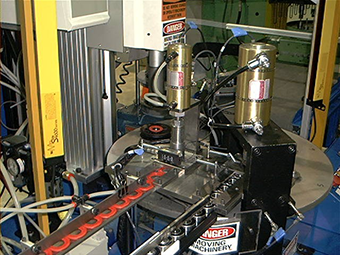 The result was a machine with increased manufacturing flexibility through minimal impact to production requirements.